2016: The nearly 85-year-old "Tin Man" is listed as one of the most endangered historic places in Illinois. 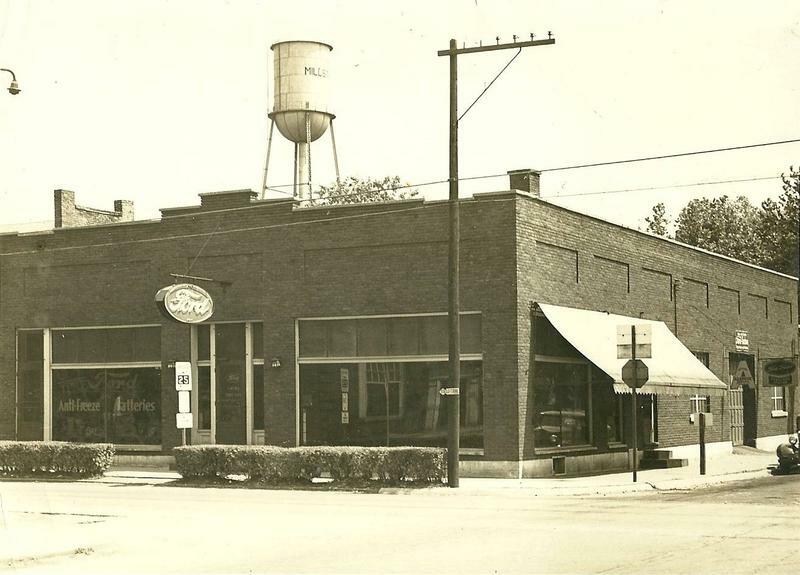 1945: A young "Tin Man" watches over a Millstadt car dealership. Sandblasting and repainting the tower will cost about $200,000. An engineer has found the landmark to be structurally sound. 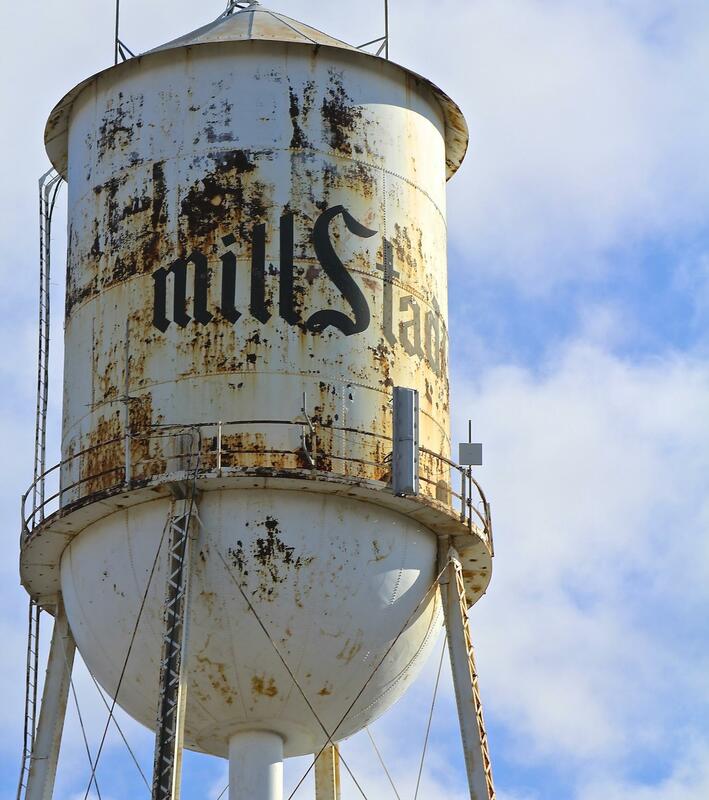 The old water tower in Millstadt, Ill., wears an unflattering coat of rust these days, but preservationists say the nearly 85-year-old landmark is as solid as the American steel used to build it during the Great Depression. They call the tower the “Tin Man,” and they’ve been working to save “him” from the wrecking ball. The Tin Man is an endangered species of water towers — nicknamed for their shape — that used to dot Small Town America. In recent decades, they've been replaced by modern structures with larger capacities. Millstadt hasn’t used its Tin Man since 2011, and it was slated for demolition until residents formed a nonprofit group to rescue it. Betty Keller Timmer, a lifelong resident of the community, chairs The Friends of the Old Millstadt Water Tower. She says the Tin Man is part of the identity of the village of 4,000 and a familiar beacon that’s visible for miles. “I actually had a lady tell me one time, ‘Why, that’s our Eiffel Tower. We need to save that,’ ” Timmer said. 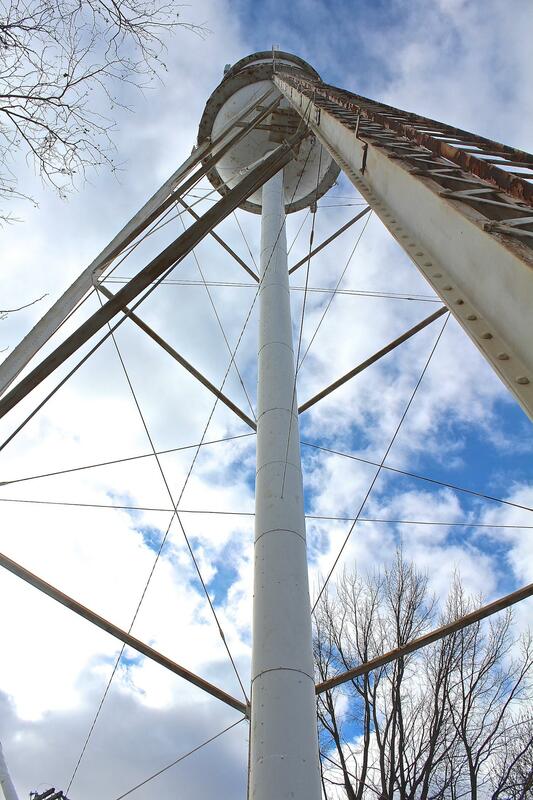 The 100,000-gallon water tower was built in 1931. Location: Since 1931, the Tin Man has stood his ground at Madison and Breese streets in the heart of Millstadt in St. Clair County, about 15 miles southeast of St. Louis. Size: The water tower is 164 feet tall and can hold 100,000 gallons of water. Endangered status: After construction of a new water tower in 2011, the Tin Man was drained and now stands empty. In 2014, Landmarks Illinois added the tower to its list of the state’s most endangered historic places. 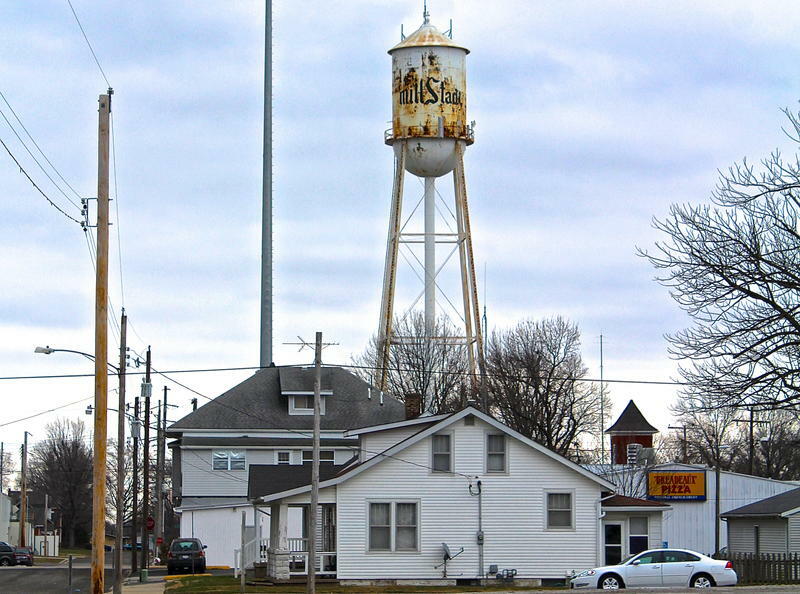 There are fewer than 10 “Tin Man” water towers left in Illinois. 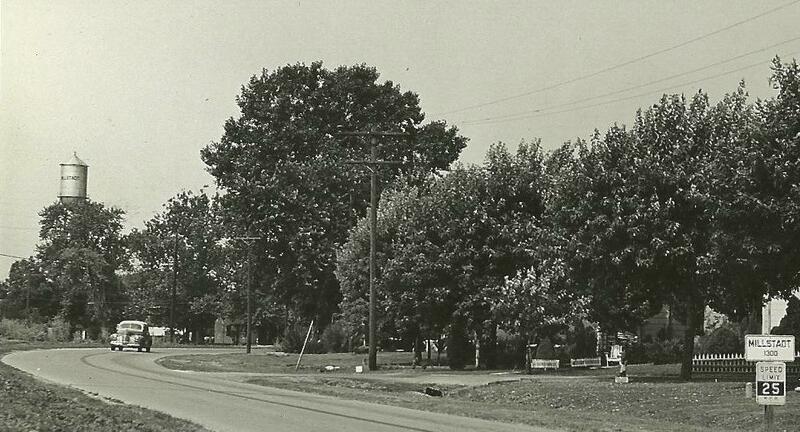 1945: View of the old water tower, which can be seen for miles. 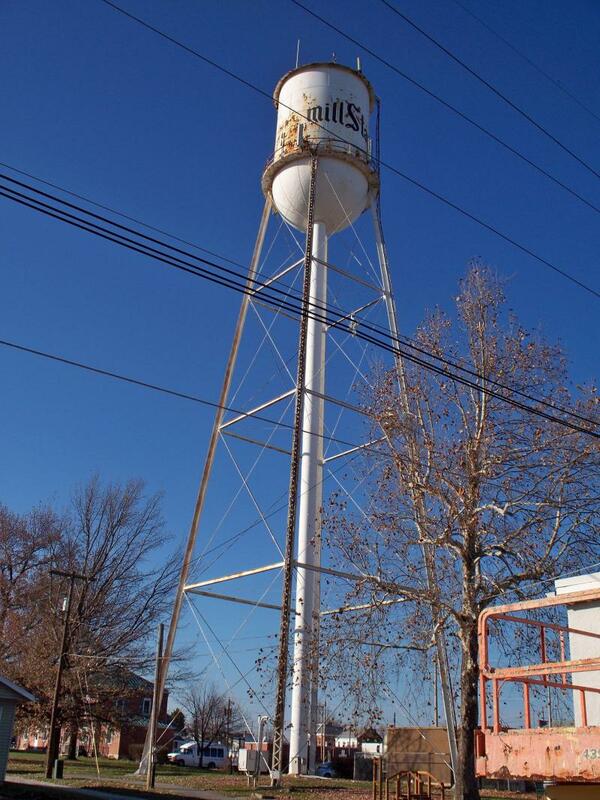 The Friends of the Old Millstadt Water Tower now has a 10-year lease agreement with the village that requires the tower to be repainted within five years. 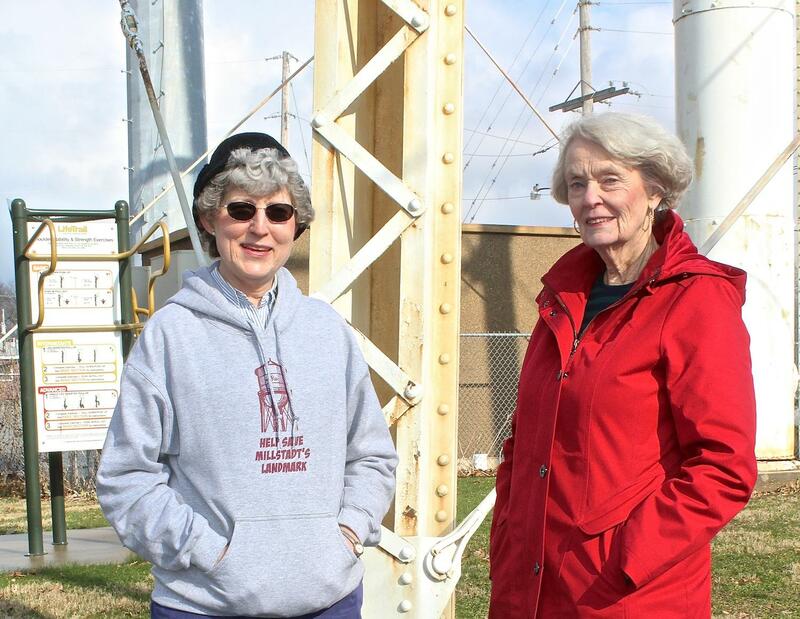 Betty Keller Timmer and Joan Bevirt of the preservationist group stand at the base of the Tin Man. An engineer inspected the tower, and found it to be in good structural condition, she said. Her group is now trying to raise $200,000, the estimated cost of sandblasting the tower and repainting it. Timmer helped organize the nonprofit preservation group in 2013 when it appeared that the village would demolish the landmark. It's 164 feet from the ground to the top of the old water tower. Joan Bevirt, 81, says that everyone has a favorite memory of the Tin Man. The group has scheduled a number of fundraisers, including a bowlthon on Saturday and a trivia night in April. She noted that the last bake sale raised $1,000. “Just 199 more bake sales to go,’’ she said. The new kid in town: The new village water tower overlooks a cemetery at the edge of town. Three southern Illinois structures are among those identified as endangered by Landmarks Illinois. This year’s list includes the Hamilton Primary School in Otterville (Jersey County); Hotel Belleville, which last was used as a retirement home by the Belleville diocese; and the Old Millstadt Water Tower. Updated Friday, Dec. 11, 5 p.m. Developers say that construction is complete on the Arcade Apartments. Construction crews wrapped up their work last week and the first residents have moved in. Jeff Huggett, a developer at Dominuim, says more than 100 of the apartments have been reserved. In a statement, he says the Arcade Building project is the largest apartment renovation in St. Louis in decades. 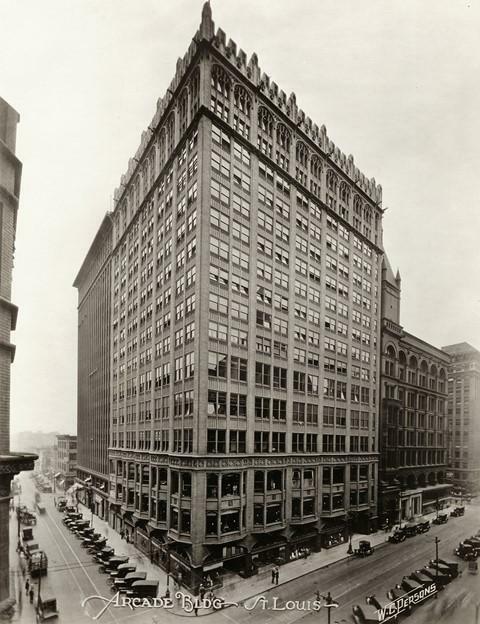 The Arcade Building in downtown St. Louis is set to reopen in December for the first time since it closed in 1978. A University City preservationist group called Heritage Sites Protection Initiative handed over petitions to the St. Louis County Board of Election Commissioners last week with what it hopes to be enough signatures to take its cause off the streets and front porches of U. City and onto the ballot in April 2016. The initiative wants to beef up protection for seven historic structures in this inner-ring community.